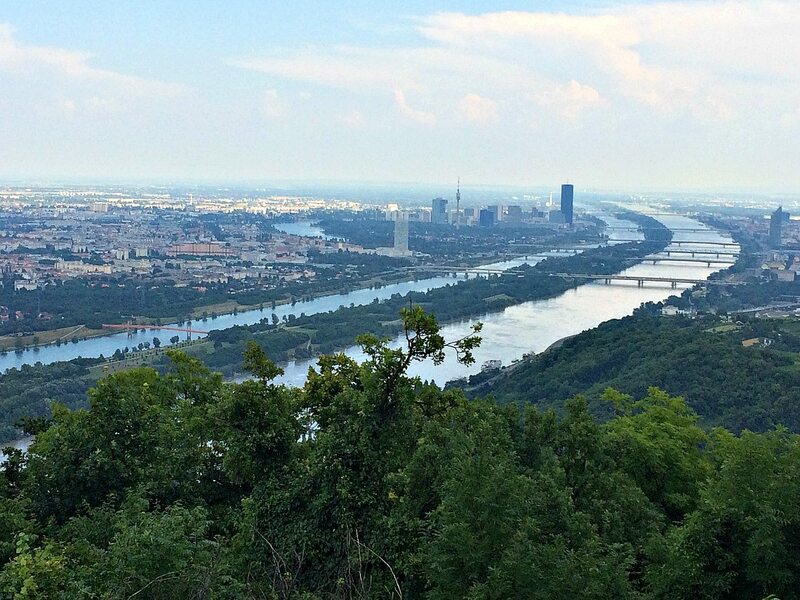 The Vienna Danube isn't blue, other than Strauss' Blue Danube Waltz makes you believe. However, there are a few beautiful patches that travellers have yet to discover. Most of them are part of my childhood experience. The Danube Island is the long stretch of land that divides Donau from Neue Donau (New Danube). It was built in the 1970s and 1980s as a flood prevention. 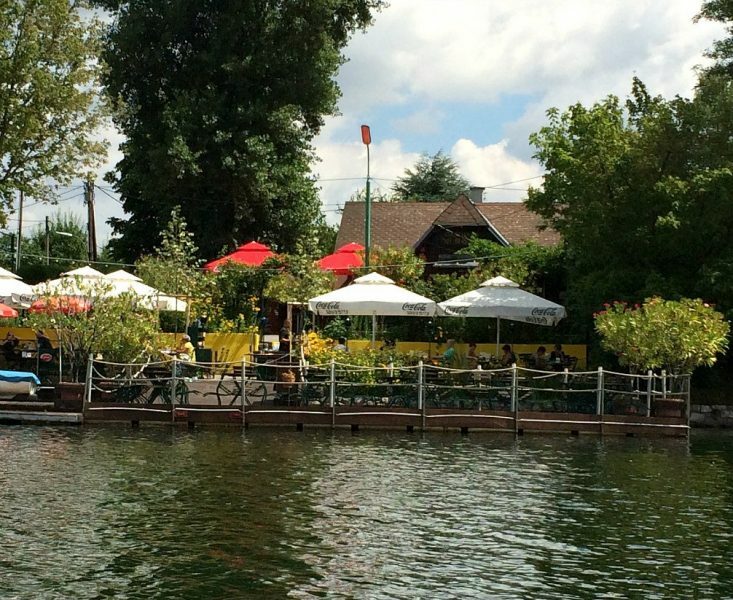 Today Donauinsel is the most popular patch on the Vienna Danube for locals. They do barbecues, stretch out on river beaches, bike and play ball games. The waters of the New Danube are quiet, and used for electro boating. In the photo below you can see Donauturm (Danube Tower). Tourists love the views from the rotating restaurant at the tower's top. Look at the first photo and you'll see a side arm of the Vienna Danube - this is the Old Danube. Alte Donau was THE main arm of the Danube before Donau was regulated in the 1870s. The Old Danube is is now completely separated by a dam from the Danube, and a weekend paradise for many Viennese. The local community of residents and owners of little weekend cabins (photo) is closely knit. 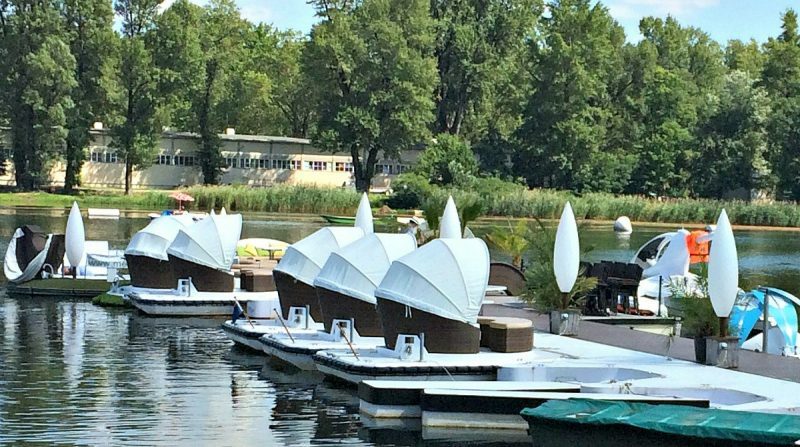 The little island in the middle of the Old Danube is called Gaensehaeufel and hosts the most popular Vienna Danube swimming resort. What I love about the Old Danube: The area mixes original community living with ultra modern international life styles. Vienna's United Nations Headquarters and more than half a dozen modern skyscrapers co-exist next to traditional Viennese residences. Thanks to metro U1 you just take 10 minutes to the city centre. 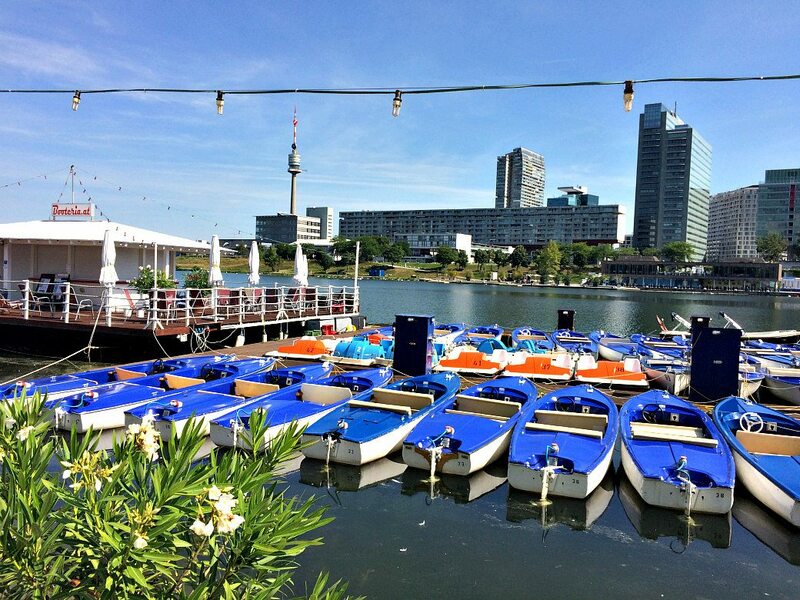 Alte Donau has recently turned into a sought-after living space for locals. As for accommodation you can taste the modern skyscraper of Melia Hotel, or stay at Eva El Baranes-Koll's beautifully decorated B&B the rooms. Nationalpark Donau Auen wasn't my favourite when I was a child. At that time the flood plains were notoriously infested with mosquitoes in the summer. This seems to have changed (or the mosquito repellents have improved). The national park is around 30 minutes from the city centre and a great spot for family outings. You can take a boat tour through the side arms of the Danube, go hiking and watch water birds and other wildlife. Historic Orth Castle and its visitor centre mark the entrance. 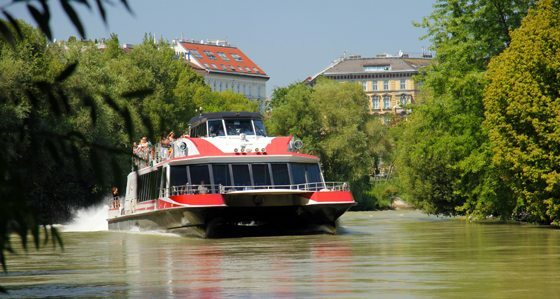 During the warm months a national park boat takes you directly from the city centre (Franz-Josefs-Kai) along the Danube Canal to the Danube Flood Plains. If you want to see a maximum of the Vienna Danube eastwards and Bratislava is still on your bucket list, take the highspeed catamaran. In 75 minutes it whizzes you along the Danube Canal and the Danube straight to Slovakia's capital. Bratislava's old town and its castle are a great destination for a day trip from Vienna. I went there with my family and we loved it (read the whole story of our mini Danube cruise from Vienna to Bratislava). 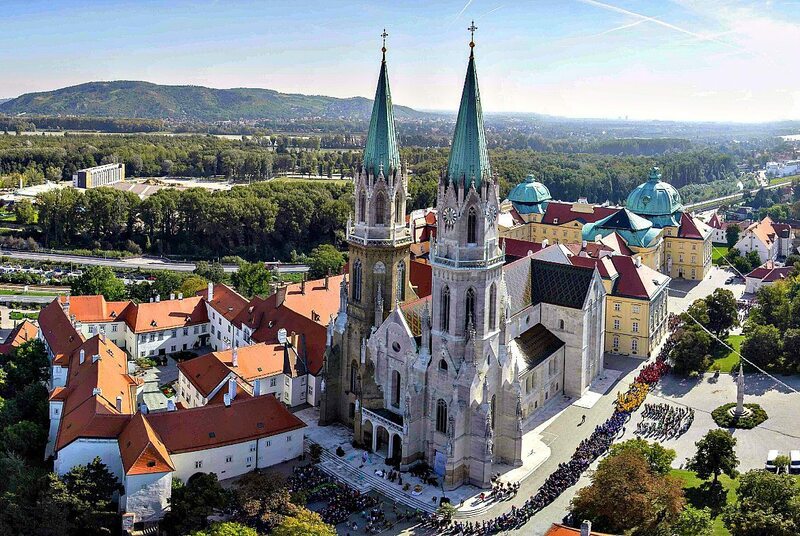 Few travellers have ever come across Klosterneuburg Abbey along the Danube 10 kilometres north west of Vienna. The abbey and Imperial state rooms almost became Schonbrunn Palace if Empress Maria Theresia hadn't abandoned Klosterneuburg in favour of Schonbrunn. Kosterneuburg houses amazing treasures for medieval and baroque fans. On top, it boasts Austria's oldest wine estate (more than 900 years). When I went there I took a private tour with local tour guide Regina, and visited the wine cellars (there are also wine tastings avaiable). More about my Vienna Art Wine Tour with Regina. Kritzendorf is a traditional riverside village and famous Danube resort in the north west of Vienna. In the 1920s locals called it the 'Riviera of the Danube'. I spent lots of summers there in my childhood as my mum's best friend had a weekend lodge there. My sister, my mum and I have now made it a habit to return to Kritzendorf once every summer. 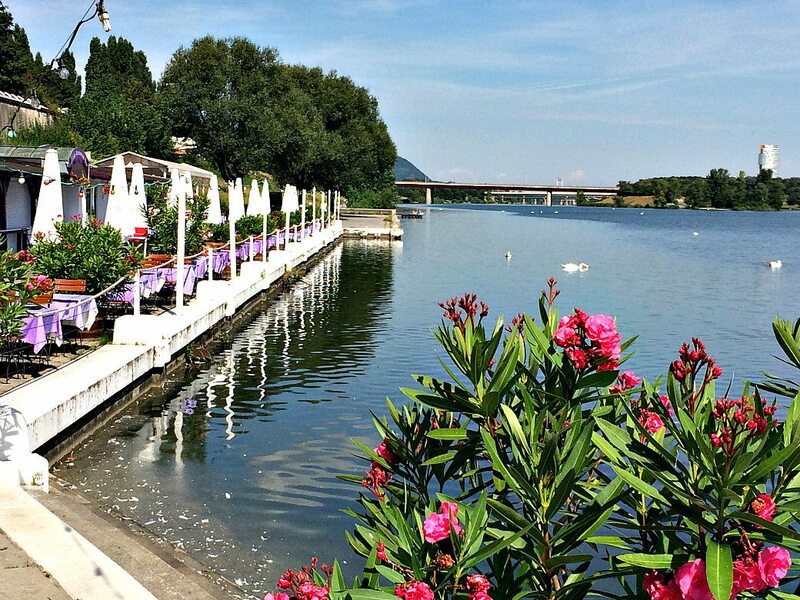 We love to stroll through the seaside resort with its typical wooden lodges, walk along the Danube, have a swim and visit 'our' old restaurant, now called Gasthaus Fischer. It's the best place for apricot dumplings and red currant wine (!). Find more inspiration on things to do along the Vienna Danube and Wachau Valley. I've been to Klosterneuburg a couple of times. Not inside the Monastery though, as it wasn't open early in the morning and we wanted to get in to Vienna to visit the Kaisergruft before the crowds. The Habsburg Tour does look worth a visit. Just a shame it's at 1pm. I take it the Wine Tours are at 3pm, so we might have to spend two nights in Klosterneuburg next time.